For some time, merchants and the FDA have gone back and forth like a game of chess over the regulation of e-cigarettes. Back in July of 2017, the Food and Drug Administration opted to delay regulations that would have removed many e-cig products from the market, which also opened the door to endorse cigarettes as a means to get smokers to quit. The e-cig industry breathed a sigh of relief. Fast-forward to the beginning of 2018, the FDA is facing new legal challenges over its e-cigarette rules. A lawsuit filed by the nonprofit Pacific Legal Foundation could overturn certain rules that threaten the survival of the e-cigarette industry. The “deeming rule” in question was issued in 2016 and pulled e-cigarettes under the agency’s regulatory control; thus, subjecting them to the same kinds of marketing restrictions as tobacco cigarettes. The Pacific Legal Foundation has filed lawsuits on behalf of vaping businesses in district courts in the District of Columbia, Minnesota and Texas. 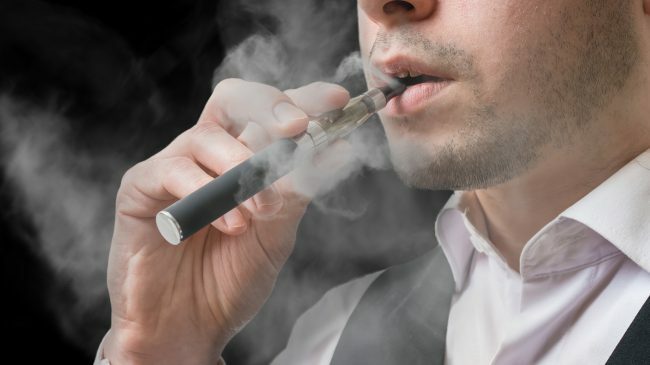 The Pacific Legal Foundation is firmly claiming that the FDA’s deeming rule violates the First Amendment because it allows the agency to treat nontobacco vaping products as if they were tobacco products regulated by the Tobacco Control Act. The biggest priority of the FDA’s stringent regulations on e-cig products is safety and overall public health. Manufacturers of e-cigarettes have long claimed that their products are a less harmful alternative to traditional cigarettes and help people quit smoking. Areport published in January by the National Academy of Sciences Medicine and Engineering states that “there is conclusive evidence that completely substituting e-cigarettes for combustible tobacco cigarettes reduces users’ exposure to numerous toxicants and carcinogens present in combustible tobacco cigarettes.” However, the same report admitted that these products are not completely “safe”; they still put teens at a higher risk of trying cigarettes. The fear is that the industry and consumers will find themselves in a situation where harmful cigarettes – which kill half of their lifelong users –remain abundant, while safer e-cigarettes are regulated out of existence. While the industry and the FDA are in the midst of a battle to sort the situation out, merchants are left with an unclear path for moving forward. For now, e-cig merchants are relying on the expertise and services of alternative providers that specialize in working with this industry’s needs, like eMerchantBroker.com. Through flexible options like an e-cig merchant account, these businesses can operate safely and efficiently. They also have access to valuable resources like chargeback protection and prevention programs and multiple payment gateway options. Author Bio:Electronic payments expert, Blair Thomas, co-founded eMerchantBroker. His passions include producing music, and traveling to far off exotic places. eMerchantBroker is America’s No. 1 e-cig merchant account company, serving both traditional and high-risk merchants.